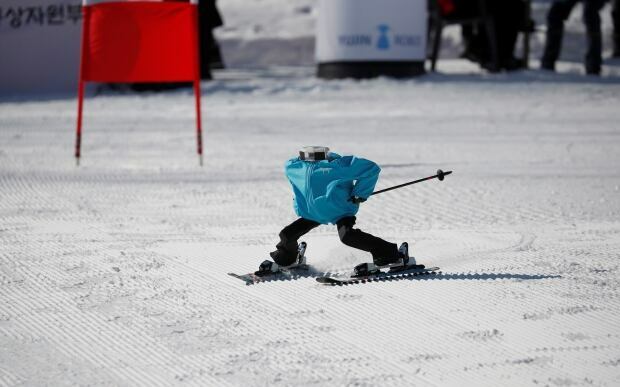 While Alpine skiers fought high winds at the Pyeongchang Games on Monday, there were no such problems for robots competing in their own “Olympics” ski challenge. 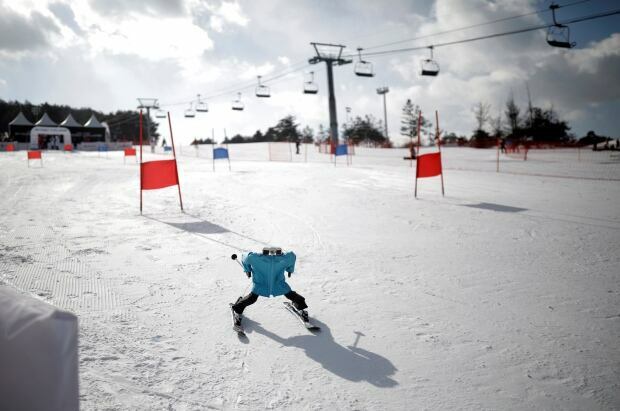 Robots of all shapes and sizes skied, and in some cases tumbled, down a course at the Welli Hilli ski resort, an hour’s drive west of Pyeongchang. Eight robotics teams from universities, institutes and a private company competed for a $10,000 prize in the Ski Robot Challenge. “I heard the Alpine skiing has been postponed again due to wind conditions. That’s a pity,” said Lee Sok-min, a member of the winning TAEKWAN-V team. “Robots are doing fine here,” he said. The teams had to meet specific requirements for entering a ski-bot. It had to be more than 50 centimetres in height, stand on two “legs” with joints resembling elbows and knees, have an independent power system and use skis and poles. The robots were equipped with camera sensors to detect the blue and red flagpoles in their path and turn as they raced down a beginner’s hill. 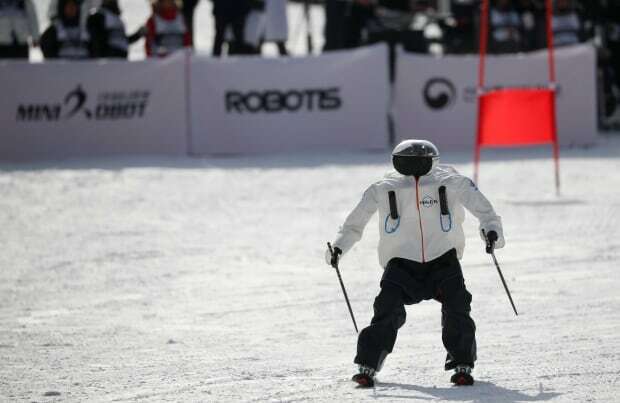 “I’m amazed that the robots recognize the flags as they can ski down while avoiding them,” said 12-year-old spectator Son Ki-ryong. Teams were awarded points for the number of flagpoles avoided and the fastest time to the finish line. Organizers said they held the challenge to promote South Korea’s robotic technology during the Olympics. “I think in the future robots will have their own Winter Games on the sidelines of the Olympics held by humans,” said organizer Kim Dong-uk.